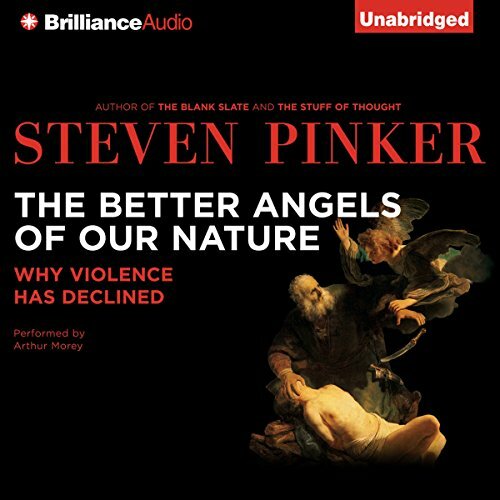 Showing results by author "Steven Pinker"
We’ve all had the experience of reading about a bloody war or shocking crime and asking, “What is the world coming to?” But we seldom ask, “How bad was the world in the past?” In this startling new book, the best-selling cognitive scientist Steven Pinker shows that the world of the past was much worse. In fact, we may be living in the most peaceable era in our species’ existence. By the end of on average day in the early 21st century, human beings searching the Internet will amass eight trillion gigabytes of data. 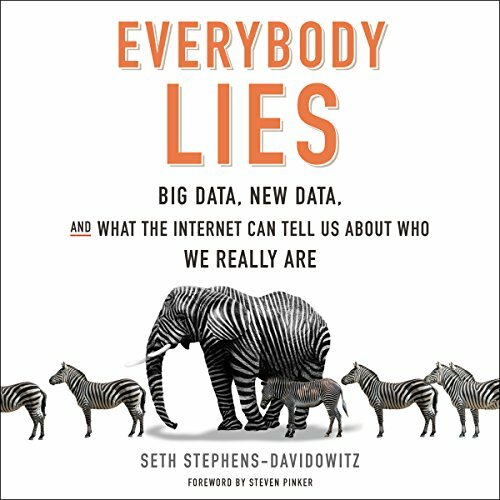 This staggering amount of information - unprecedented in history - can tell us a great deal about who we are - the fears, desires, and behaviors that drive us, and the conscious and unconscious decisions we make. From the profound to the mundane, we can gain astonishing knowledge about the human psyche that less than 20 years ago seemed unfathomable. 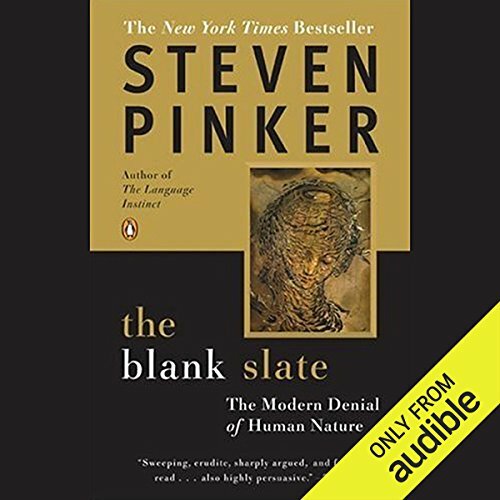 In The Blank Slate, Steven Pinker, one of the world's leading experts on language and the mind, explores the idea of human nature and its moral, emotional, and political colorings. 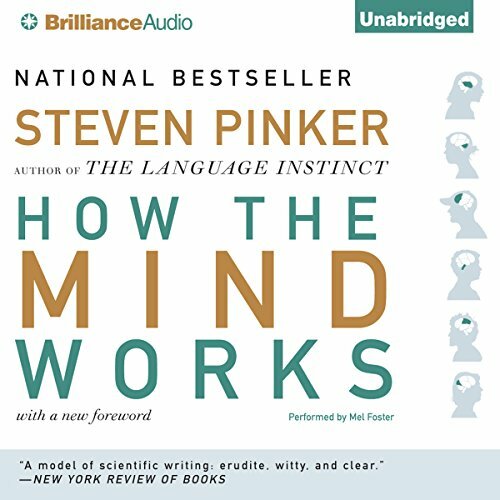 With characteristic wit, lucidity, and insight, Pinker argues that the dogma that the mind has no innate traits, denies our common humanity and our individual preferences, replaces objective analyses of social problems with feel-good slogans, and distorts our understanding of politics, violence, parenting, and the arts. Excellent, but a difficult listen. 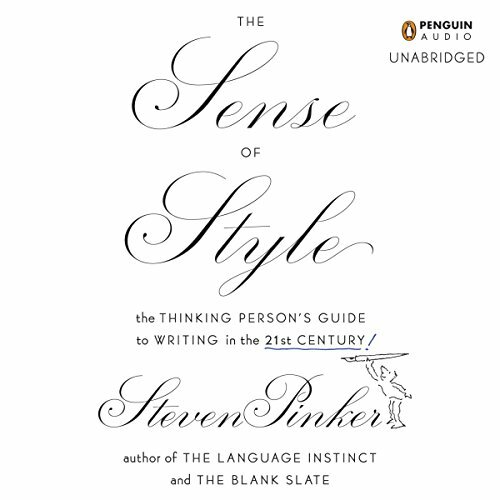 In The Sense of Style, the best-selling linguist and cognitive scientist Steven Pinker answers these questions and more. 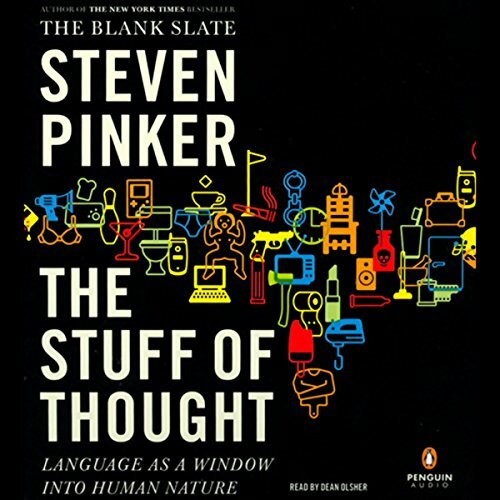 Rethinking the usage guide for the 21st century, Pinker doesn’t carp about the decline of language or recycle pet peeves from the rulebooks of a century ago. Instead, he applies insights from the sciences of language and mind to the challenge of crafting clear, coherent, and stylish prose. 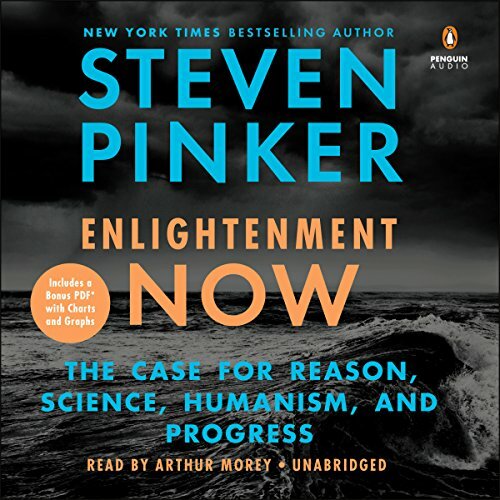 Penguin presents the audiobook edition of Enlightenment Now by Steven Pinker, read by Arthur Morey. Is modernity really failing? Or have we failed to appreciate progress and the ideals that make it possible? If you follow the headlines, the world in the 21st century appears to be sinking into chaos, hatred and irrationality. 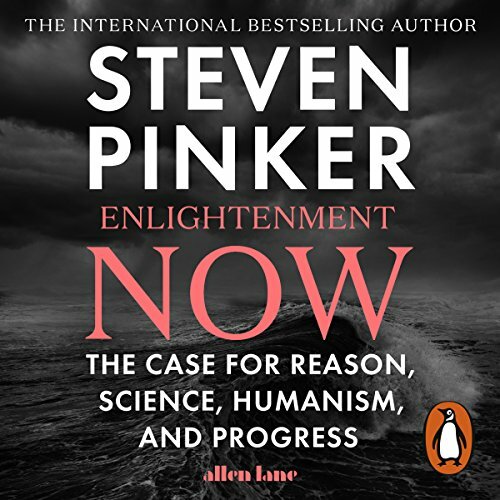 Yet, as Steven Pinker shows, if you follow the trendlines, you discover that our lives have become longer, healthier, safer and more prosperous - not just in the West but worldwide. 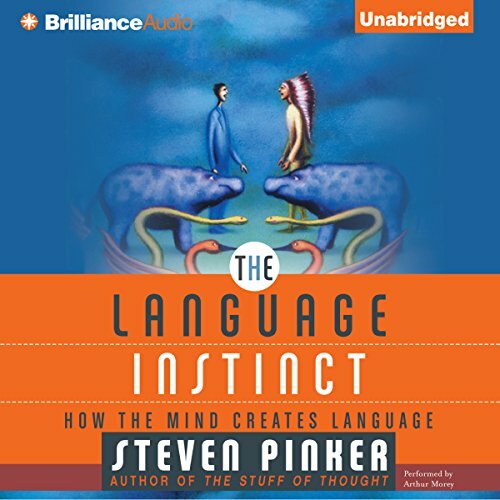 In The Stuff of Thought, Steven Pinker marries two of the subjects he knows best: language and human nature. The result is a fascinating look at how our words explain our nature. What does swearing reveal about our emotions? Why does innuendo disclose something about relationships? Pinker reveals how our use of prepositions and tenses taps into peculiarly human concepts of space and time, and how our nouns and verbs speak to our notions of matter. 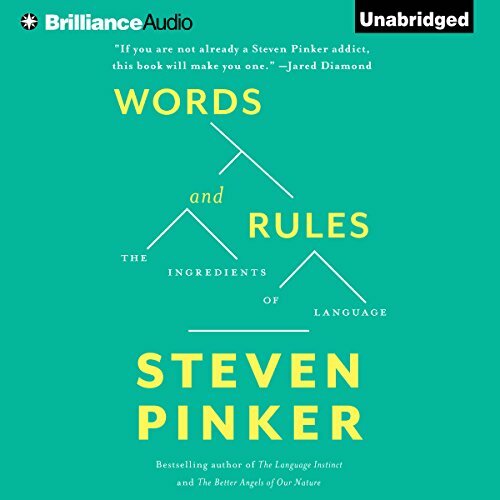 First published in 2000, Words and Rules remains one of Pinker's most provocative and accessible books, illuminating the fascinating relationship between the brain, the mind, and how language makes us humans. Amazing how much irregular verbs can teach.